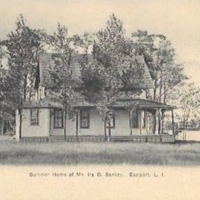 Published by Mrs. E. W. Penney, Eastport, L.I. ANC (American News Co.) N.Y. EXCELSIOR. Leipzig, Dresden, Berlin. (Germany). No. A2561. 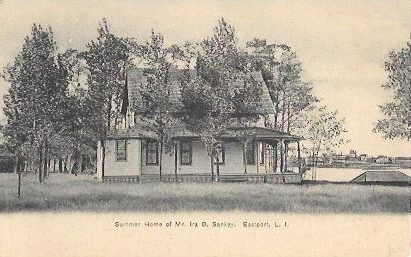 (B&W) , “Summer Home of Mr. Ira D. Sankey, Eastport, L.I.,” Hofstra University Library Special Collections: Digital Collections, accessed April 21, 2019, https://omeka.hofstra.edu/items/show/1769.